Like buying a house, science planning is all about location as well! However, what do you do when you don't have enough space to have a science interest center in your classroom? You know that science is an activity that promotes all areas of children's development, yet you are limited in the space in our classroom or we have to share space which limits what we can leave in our classrooms each day. Don't let that stop you! Where there's a will, there's a way! Many of the teachers who have taken my Science in the Preschool Classroom workshop have proven this! They have "wow'd" me in their assignments when describing how they have added a science component to their classrooms...even with limited "real estate"! When you are writing up your lesson plans, do some science planning--even if you do NOT have a science center! A dedicated area is not a necessity to provide science in the classroom. Science can take place throughout your classroom and throughout your curriculum! In-Service Hours for Your Science Planning? Why Not! Check this out! Want to learn how to incorporate fun and exciting science activities throughout your classroom? Guide you through writing up a theme that incorporates science learning throughout your classroom, not just in your science area! AND, the workshop MIGHT qualify for your annual in-service training requirements! List out the 2 types of science activities you'd like to have for the children during the week: both informal (child-directed activities where the children freely explore, investigate and learn about the materials you have available for them) and formal activities- those you will do in small groups such as experiments. Obtain a small or medium sized plastic bin with a cover. Place all the materials you will need for your planned activities into this bin. Store the bin in an out of the way place until you will be using it. Use a table in your classroom for science that is used for other activities during the week (perhaps you will share the math/manipulatives table or use the snack table for science during center time). Set up a plastic mat on the floor and place the bin on it for the children to sit on the floor and use! At the end of your morning or day, simply place the items back in the bin for the next day! The bottom line? DON'T avoid science planning due to lack of space! For ideas on WHERE to set up a Science Interest Center, check out the Classroom Design page. For ideas on HOW to set up a Science Interest Center (and some science activities to get you started), check out the Science Center page. 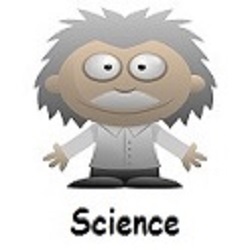 Looking for specific, theme related science activities? Check out my Preschool Themes page! 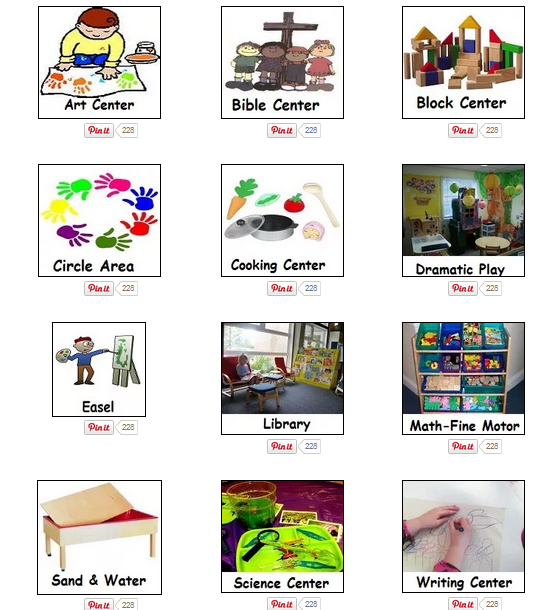 You'll find over 145 themes filled with activities for ALL your interest learning centers, including Science! Here Are Some Other Pages You Might Be Interested In!